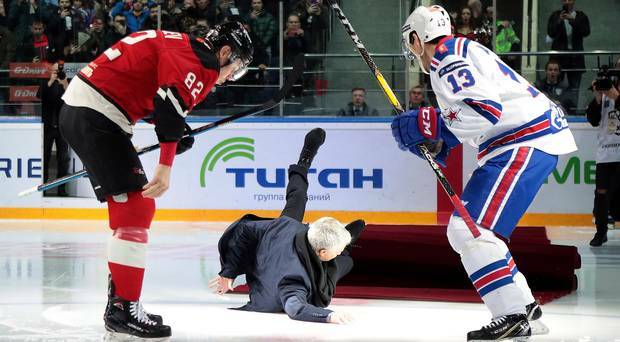 Jose Mourinho just can’t catch a break at the moment. 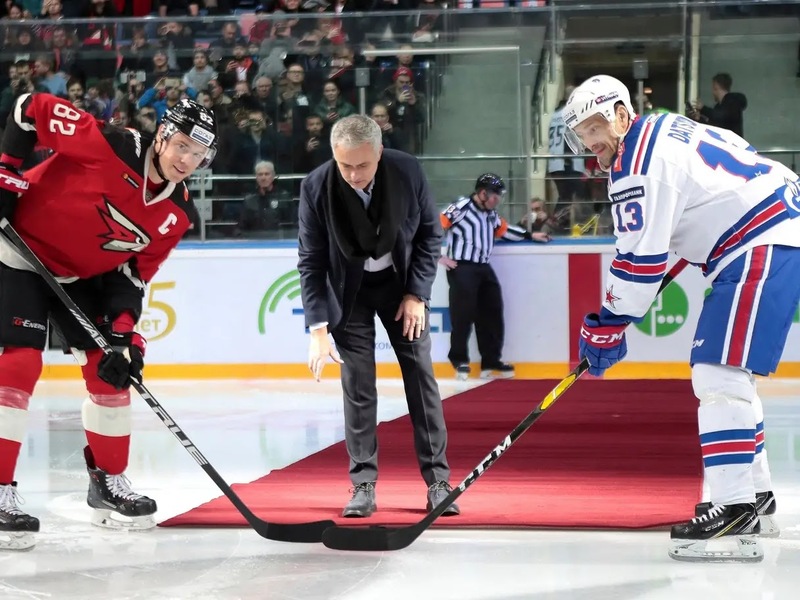 The Portuguese was sacked by Manchester United in December after a dismal start to the season and a widening rift within the dressing room, which was not the first time such a problem has occurred during his managerial career. Mourinho has since gone about enjoying life away from the dug-out, having carried out some media work since and spending time with his family in the sunnier, warmer climes of his homeland. 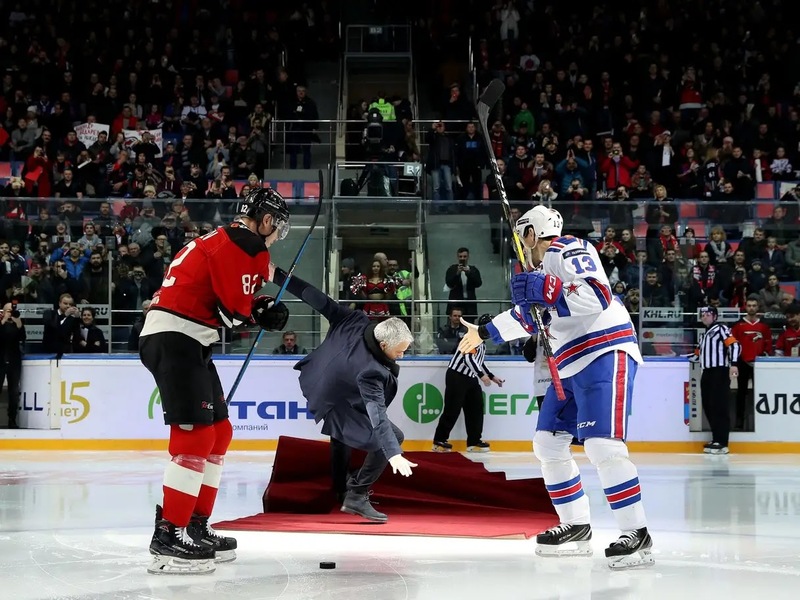 But Monday saw him come crashing back down to earth – literally – while carrying out his duties as the special guest starter for Avangard Omsk’s ice hockey match against SKA St Petersburg in Siberia. 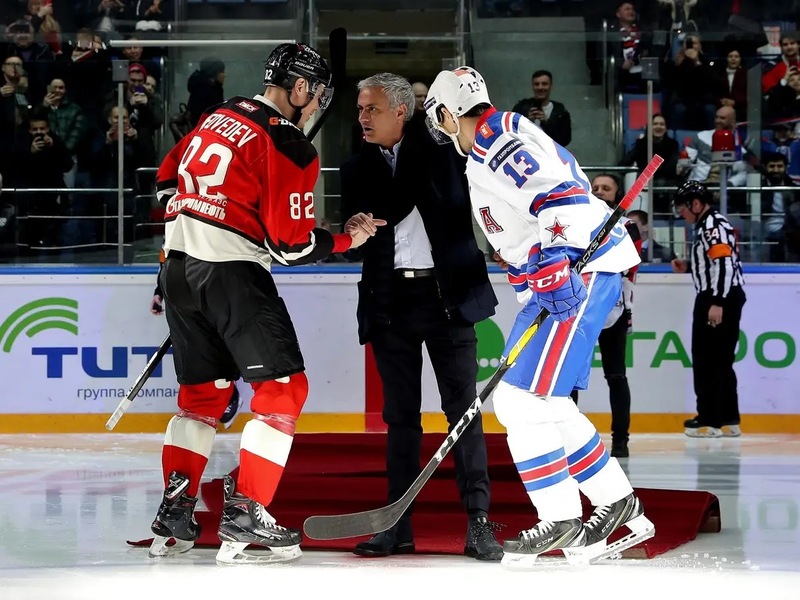 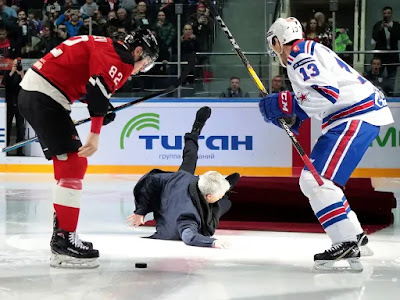 After dropping the puck between Avangard’s Evgeny Medvedev and SKA’s Pavel Datsyuk, Mourinho turned around to walk back along the red carpet, only for it to slip beneath him and send him sprawling on the ice. Mourinho quickly laughed off the incident as Datsyuk helped him back to his feet, before Medvedev also embraced him while checking he was ok.